The Country Dark is a four piece unit hailing from the city of Kuopio, Finland. Earlier bands include such finnish garage/blues/punk household names like Cosmo Jones Beat Machine, Slideshaker, The Festermen and Chop Suey. The Country Dark's first release Deliriumic Sounds From Life's Other Side cd-ep was released on Trash Can Records in 2007. After dozens of gigs and with a slew of brand new songs the band went to Arttu Keski-Orvola's basement studio in 2011 and recorded their first 12 song full-length album. 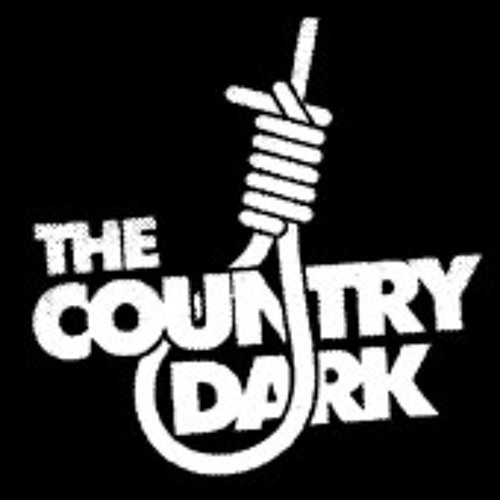 The Country Dark plays punk and rockabilly infected country music with ominous Eastern Finland sound. Some folks call their style psycho- or trash country but it just doesn't make justice to band's unique style. Bass guitar and kick drum keep on pounding like a ghost train from hell. Guitar rips like the blade of Jack. Keep on churnin' baby till the butter comes. Lyrics are perverted, macabre and fascinating. Yes indeed, like in Human Skin Suit cannibal farmer relaxes after hard day's work, nightbirds sing and bodies hang in the barn or Swamp Mud where Dale Hawkins style twang meets the ancient madness of finnish poison mushroom juice. Plus there's ten other demented whirlwind stories that set you on the journey to fucked up Pleasure Island and final redemption!